In the July session, Alan read from his latest poetry collection, Seem, published by Flying Island Books (ASM & Cerberus). 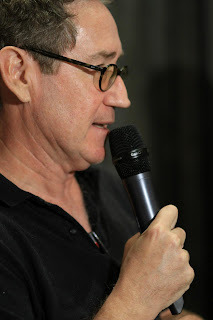 After a brief introduction to the audience of over thirty persons of different nationalities (including Hong Kong-Chinese, Mainland Chinese, and French), Alan started the reading with the last poem in his book, entitled "the truth." This piece showcased Alan's musicality and talent for the performing arts, as his rhythmic melodies and timely pauses struck a chord with the crowd, captivating everyone in attendance and setting the stage for a monumental sharing session with local legend Leung Ping-kwan (Ya Si). A resident of Hong Kong from 1998-2007, Alan is now based in Brisbane. A defining moment was when Alan was asked the question, "how are you inspired by the city of Hong Kong?" The Australian-born author revealed that he found it difficult to write about the metropolis until he had moved away, and his nostalgia is perfectly displayed in his poem, "Homage." Alan, who does not speak any Cantonese and is illiterate in Chinese, agreed with his stage-partner Ya Si's statement that Seem's Chinese translator, Iris Fan Xing, is one of the top English-Chinese translators in the Pearl River Delta and is a noteworthy poet in her own right. 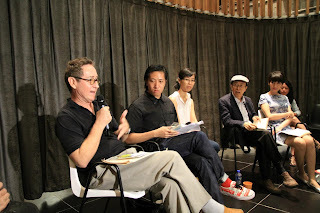 Alan read from his book in English, while various members of the audience read his translated work in Cantonese and Mandarin. Throughout the session, Alan was extremely humble and his genuine character, which is exemplary of his work, was summed up with his concluding poem "People have strange reactions to my poems." One of the founders of Hong Kong's longest running spoken-word and poetry event held every month at the Fringe Club. Alan usually spends his summers teaching at the local British Council, but has taken a hiatus this year. 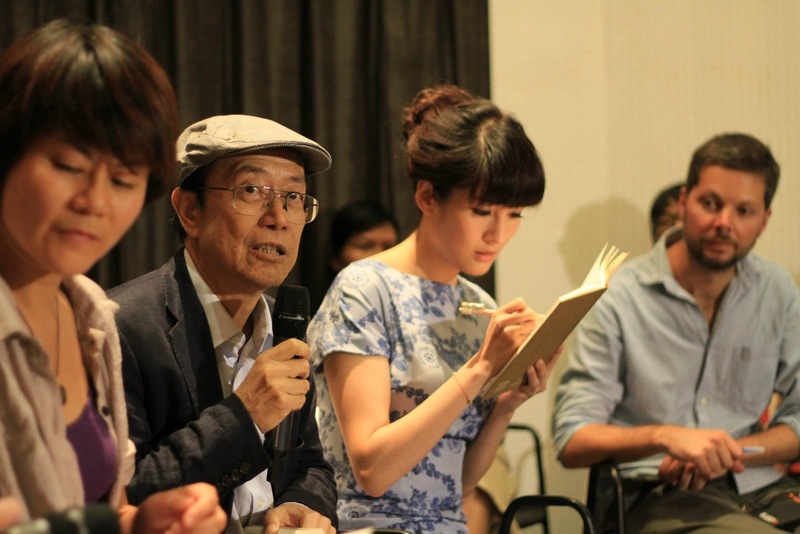 We hope to have him back soon, as he is one of the pillars of the Hong Kong poetry scene.